LP (born Laura Pergolizzi) – American singer and songwriter (of Italian & Irish origins – “My maternal grandparents were from Naples, my paternal grandfather was from Palermo. I should still have relatives scattered somewhere in Italy“), originally from Huntington, Long Island, New York. She performs under the name LP and that’s the name she prefers/uses in daily life as well. So far she has released six (seven) full albums (two as Lionfish) and two EP’s. You will find her official website by clicking here. LP was born on the 18th March, 1981. She graduated from Walt Whitman High School. Her father (lawyer) and brother (neurosurgeon) saw different future for LP, rather than being a singer. “I recognized that I had a vibrato which was kind of embarrassing so I didn’t really sing out too much when I was little until my mom said, well, I was in the back of a car singing along to a song and she turned it down and was like, “What is that?” And I was like, “Really? You like that?” So then I started singing out a little more and then just kept going.” LP lost her mom (opera singer) to cancer when she was a teenager and that’s when she decided to move to New York City from Huntington and pursue her dreams of being a singer. Also during that time she took opera lessons to control her voice. “I took opera lessons when people [her mom especially] kind of told me I needed some control of my voice. I always thought of my voice as very wild and as I was writing I always wanted to explore the higher notes in certain songs”. David Lowery of the band Cracker saw her performing (in 1998) and was so in owe of her voice that decided to feature her on “Cinderella“, a hidden track (which she co-written), on the band’s 1998 album, Gentleman’s Blues. LP also went on tour with Cracker in 1999. You can read reviews of this tour by clicking here. Lowery followed up by producing LP’s debut album, Heart-Shaped Scar, released in 2001 through Koch Records. LP’s second album, Suburban Sprawl & Alcohol, was released in June 2004 through Lightswitch Records. On the record, she collaborated with songwriter and music producer Linda Perry. Song “Wasted”, from this album, was the theme song for the second and third season of The N’s show South of Nowhere on The N, currently known as TeenNick. In 2006, LP appeared at the music conference, South by Southwest, and sparked a bidding war amongst major music labels, eventually being signed by L.A. Reid to his Island Def Jam Music Group record label, part of the Universal Music Group. However, due to artistic differences she left the contract. She signed with SoBe Entertainment in 2007, an independent record label. During that time LP still writing for herself, was planning releasing another album (in January 2009). There are few interviews from that time, where we see her in the studio talking about her upcoming plans. Its debut single, “Good With You” was available on iTunes. In 2008 SoBe even released a videoclip of two new LP’s songs mixed into one, “Good with you”/”Cling to me“. However as this studio also didn’t exactly knew what to do with LP (! ), they decided to keep her as a songwriter for other artists. That’s the time when LP took a break from writing for herself. “I got signed to two different major labels back to back but literally never played live in those next three years”. One of her first songs that came to other artist was “Love Will Keep You Up All Night”. She had written it while still at Island Def Jam Music Group with Billy Mann, and it was released in late 2007 on the Backstreet Boys album, Unbreakable. Around 2009, LP started writing songs for other artists, working extensively on the Heidi Montag album, Superficial. She co-wrote the single, “More Is More”, as well as the album tracks, “Twisted”, “Hey Boy”, and “Love It or Leave It”. She also co-wrote other tracks for and with Montag, such as the Cathy Dennis co-write, “Look How I’m Doin'”, “I Do This”, and “Who’s That Girl”. A song she wrote with Alexander Kronlund, “Standing Where You Left Me”, was released on Erik Hassle’s debut UK album, Pieces. She landed her first major breakthrough as a songwriter, co-writing Rihanna’s song, “Cheers (Drink to That)”, featured on Rihanna’s fifth studio album Loud, released on November 12, 2010. “Cheers” features a vocal hook performed by LP (taken from Avril Lavigne’s “I’m with You”). LP’s major label songwriting breakthroughs continued, as she co-wrote “Beautiful People”, performed by Christina Aguilera. The song is featured on the Burlesque: Original Motion Picture Soundtrack album. In June 2011, LP co-wrote “Afraid to Sleep” which was performed by NBC’s The Voice finalist Vicci Martinez and reached #10 on iTunes Top Singles Chart. In September 2009 she discovered ukulele, instrument so crucial for LP’s next phase as an artist, though she didn’t realized it back then (source, Brunch with Bridget, episode ‘L.P. and Killola’, click here to watch it). In October 2009, MTV’s The Hills featured LP’s song “Damage Is Done”, and it was released on iTunes. In August 2010, it was announced that LP had signed with RedOne’s record label, 2101 Records. Following a record deal signed with Warner Bros. Records in September 2011, LP recorded a song titled “Into the Wild“, which was prominently used in a Citibank TV commercial in the end of 2011. 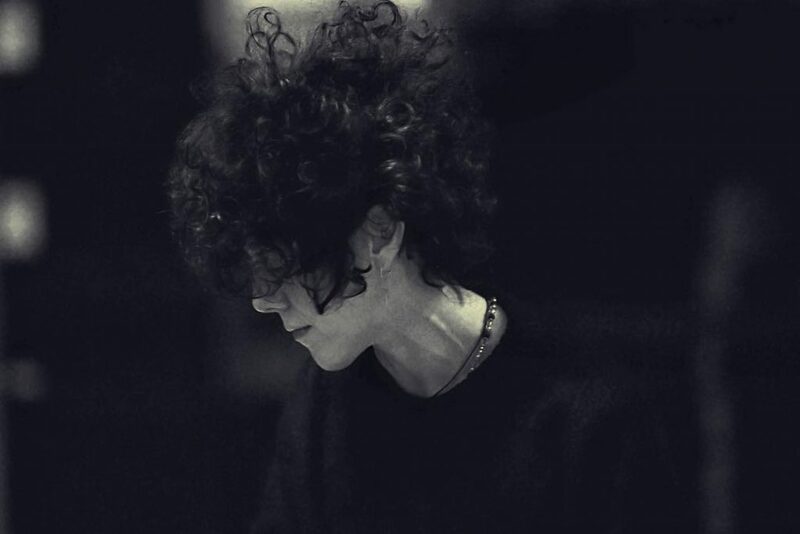 In April 2012, LP released her first major label album Into the Wild: Live at EastWest Studios, a five-song live extended play, and started touring extensively including festivals such as SXSW, Bonnaroo, Lollapalooza, Bumbershoot, Tropfest as well as Tokyo’s Sonic Boom and London’s Hyde Park. In 2012, she became the first female Martin Guitar Ambassador. Over the following two years, she completed the recording of her third album that included collaborations with Billy Steinberg, Isabella “Machine” Summers (from Florence and the Machine), Josh Alexander, Claude Kelly, Justyn Pilbrow, Carl Ryden and Rob Kleiner. The album was produced by Rob Cavallo, Warner Bros. Records’ chairman and producer. On April 1, 2014, it was announced that LP’s third full-length studio album would be titled Forever for Now, and was released on June 3, 2014. The album was promoted by the lead single “Night Like This”. Following the album, a second single “Someday” was released in June 2014 in Canada. On September 16, 2014, a music video for “Tokyo Sunrise” officially premiered on Time magazine’s website. 2014/2015 was a changing time for LP as a person and artist, she had storms in her personal and professional life. Again, she was dropped by Warner Bros., even though she played for them ‘Lost on you’, ‘Muddy Waters’ and ‘Strange’. Thankfully she was signed by Vagrant Records, who kept her afloat and kept her mind occupied. In September 2015, the song “Muddy Waters“, the first single from LP’s upcoming fourth studio album, was released. In June 2016, this song was featured in the violent and emotionally charged closing scene of the season four finale of Netflix’s original series Orange Is The New Black. In November 2015, the second single, titled “Lost on You“, was also released, while LP held a residency at the No Vacancy club. Both songs originate from a collaboration with Mike Del Rio. “Lost on you” is the song that made LP an European phenomenon. In early 2016 she was signed by a small Greek label, followed by Italian and Polish, (amongst few others), who sold her songs to European radio stations and that’s how LP was finally recognized as an artist, at least in Europe, though USA is catching up. An EP titled Death Valley was released on June 17, 2016. EP was followed by LP titled ‘Lost on you‘, released on 9th December 2016 in several European countries and Canada. In the USA “Lost On You” album was released on the 5th of May 2017.